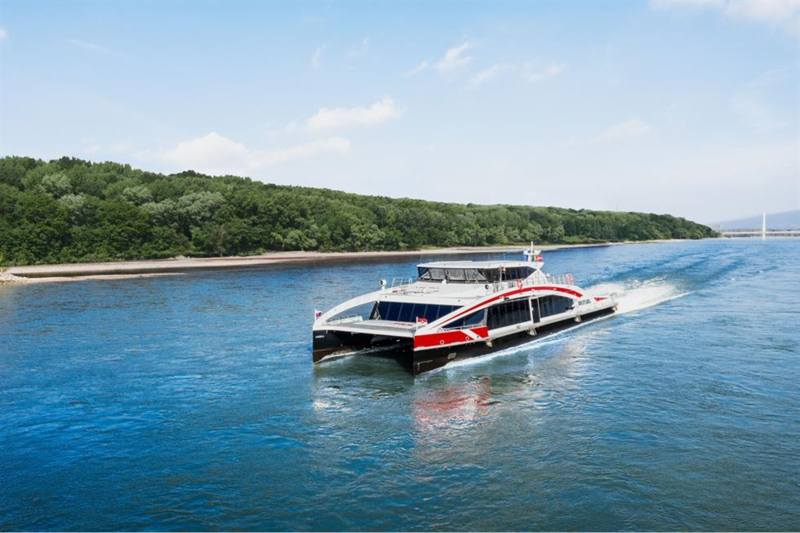 Boat trip back to Vienna by catamaran "Twin City Liner"
For the trip back please get to departure dock "pontoon HUMA 6" at Razus Embankment (Rázusovo nábrežie 811 02 Bratislava) punctually. The ship departs at 6:30 p.m. 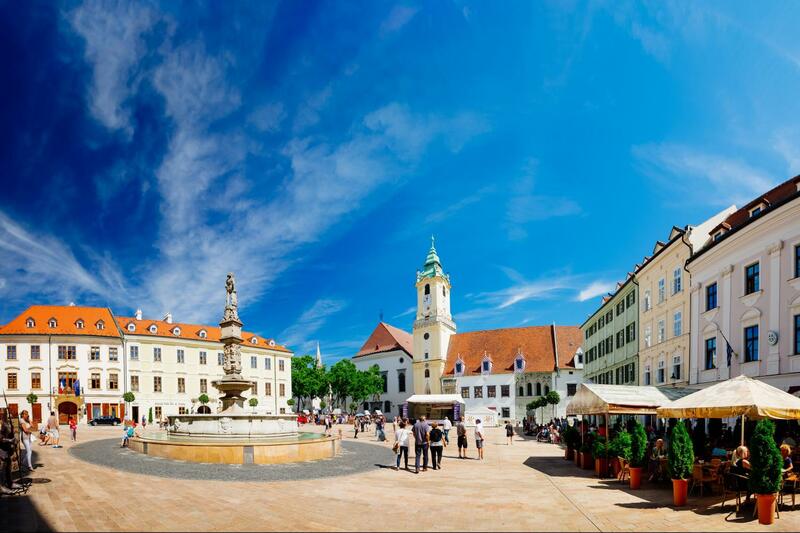 Guided city walk of Bratislava. The rest of the tour is non-guided. 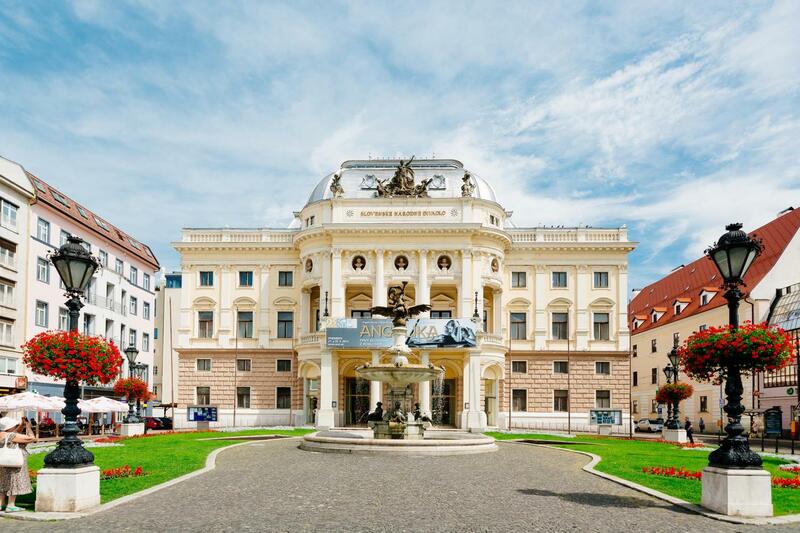 Our bus tour to Bratislava by modern touring bus, starts from Vienna States Opera. 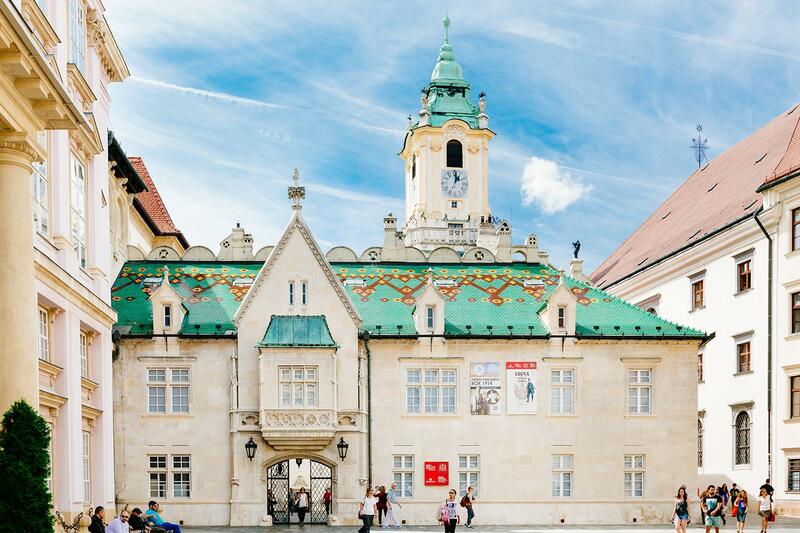 Enjoy the just under an hour’s drive to Bratislava. Our city tour guide awaits you at the bus station. The first stop on the walk will be the 18th century Plague Column. Then we walk through the pedestrian area of the inner city to the beautiful National Theater and continue along the promenade lined with small coffee houses. 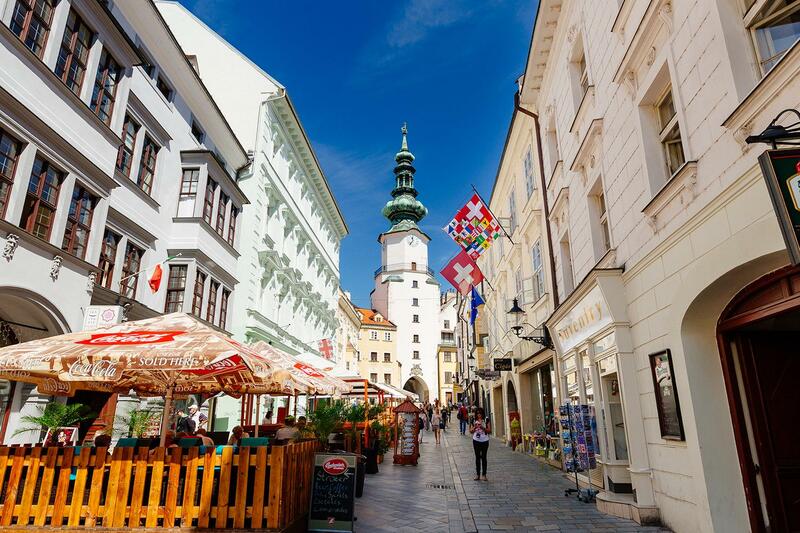 Tourist attractions you will see include the Michael's Gate with its elegant onion dome, the historical City Hall and the impressive Maximilian Fountain. The city tour ends at St. Martin’s Cathedral where the Hungarian kings were crowned. After the tour there is free time for lunch and you can enjoy the rest of the afternoon shopping, sightseeing or relaxing. 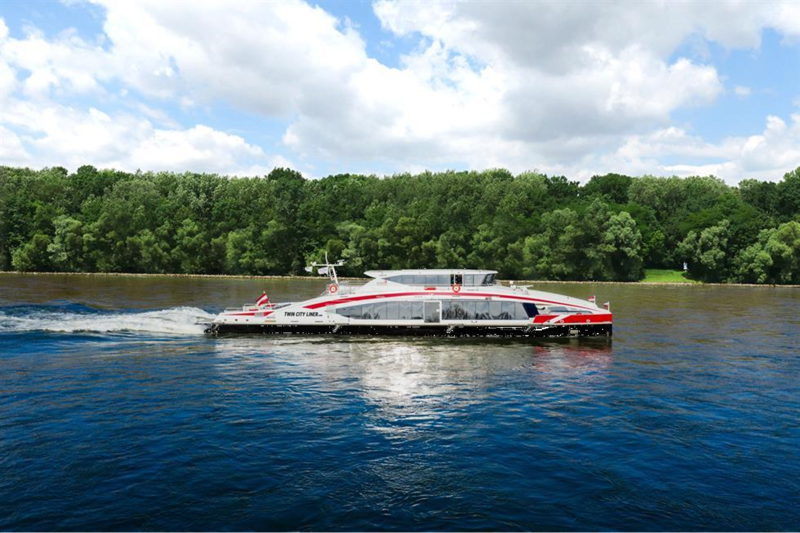 Finally, another highlight awaits you: the journey back to Vienna by modern highspeed catamaran - the Twin City Liner. Please get to departure dock "pontoon HUMA 6" at Razus Embankment (Rázusovo nábrežie 811 02 Bratislava) punctually. The ship departs at 6:30 p.m. Relax on the journey back along the unspoiled river landscape and the national park "Donauauen" to Schwedenplatz in the centre of Vienna. Arrival in Vienna at 20:00.